Henley Audio have been in touch to announce the immediate availability of Reloop HiFi’s second turntable, the TURN 5. After the introduction of the TURN 3 in late 2016, the TURN 5 is a direct drive turntable that doesn’t break the bank. TURN 5 is a quartz-controlled direct-drive record player that has a sturdy, industrial chassis boasts a “premium finish”, accented by gold trim. Internally, the brushless direct-drive DC motor ensures a quick and powerful drive system with stable and smooth rotational power. Coupled to the dampening rubber base of the platter (which is also supplied with a rubber mat), the TURN 5’s drive system is free from unwanted resonance. 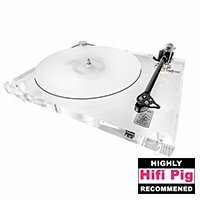 To suit the widest range of record collections, the TURN 5 motor supports 33, 45 and 78RPM playback with a choice of three buttons on the top plate. 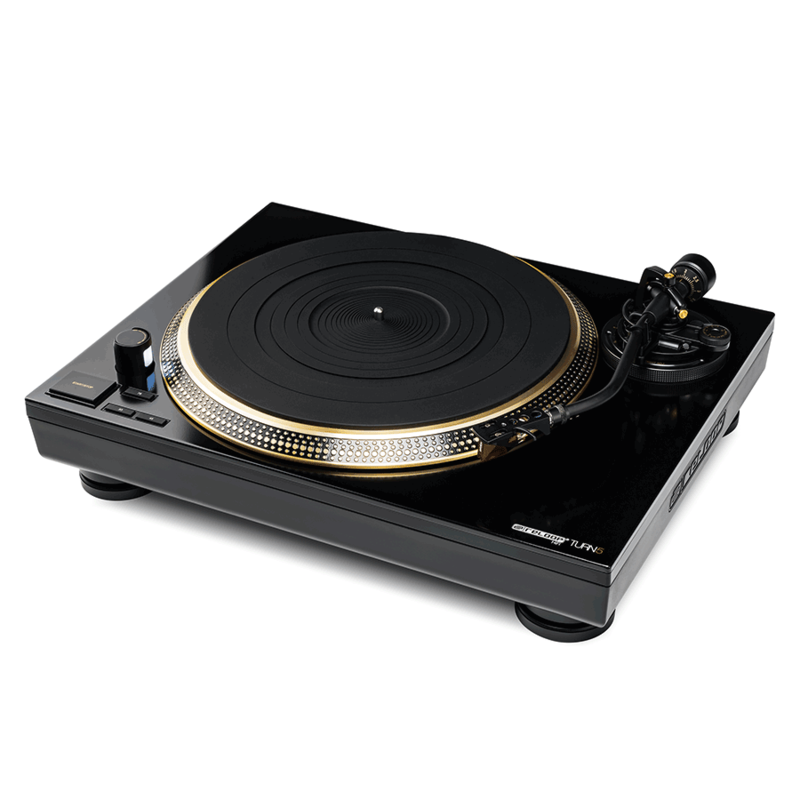 For collectors who have a variety of cartridges to suit their record collection – such as 78RPM mono cartridges for shellac records, or a different type of cartridge for different musical styles – the TURN 5 is equipped with a statically balanced S-shape tonearm with removable headshell for easy cartridge changeovers. The tonearm system boasts a sturdy-yet-light frame with convenient anti-skate dial, adjustable VTA, a hydraulic lift system and a heavy counterweight to suit a wide variety of cartridge/headshell combinations. In the box, the TURN 5 is supplied with an Ortofon 2M Red cartridge. 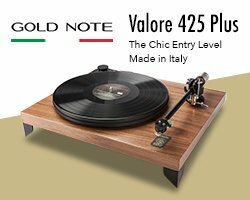 The rear-mounted gold-plated, phono-level RCA outputs with separate earth connection are recessed into the chassis for added protection and to facilitate easy cable upgrades. Elsewhere the TURN 5 is supplied with all necessary cables and accessories to get working out of the box, and a dust cover is also included. 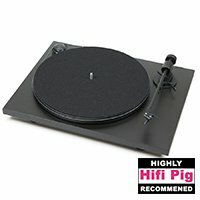 The Reloop TURN 5 is available in the UK now.